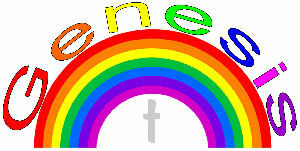 Genesis is for children in school years Reception through to Year 4. It is held on Friday evenings 6.15 - 7.30pm during school term time. It is a fun time with lots to do including games, quizzes, bible stories, singing and crafts. You can find out how to make a bottle diver here. You can read, watch or listen to many of our previous Bible stories here. "the games are great fun"
From mid-way through the morning worship service, Genesis on Sunday is for children in Reception through to school year 4. It is a time for learning from the Bible, singing, making and playing.